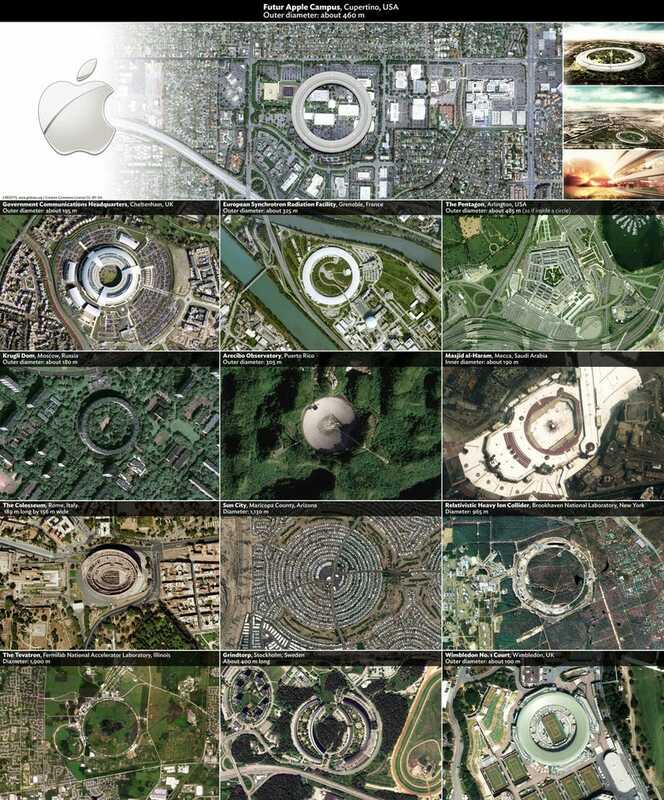 Like Comanderino Jobs said, Apple's new toroid mothership may become the best office building in the planet. But it's not the only spaceship that has landed on planet Earth. Gizmodo reader Felix Pharand D. has sent this high resolution comparison. Make sure to expand the image to see it complete. Update: Felix sent us an updated comparison with more structures. Click on the image to expand. It's huge.